At a certain point in their careers, many musicians discover that something about their art has to be a reflection of themselves, if they want to continue on. It might sound trite or self-absorbed, but taking over the world has to come second to personal and artistic fulfillment; eventually, many musicians realize that they can’t fake what they’re doing. In order to make music that matters to other people, it has to matter to the auteur as well. 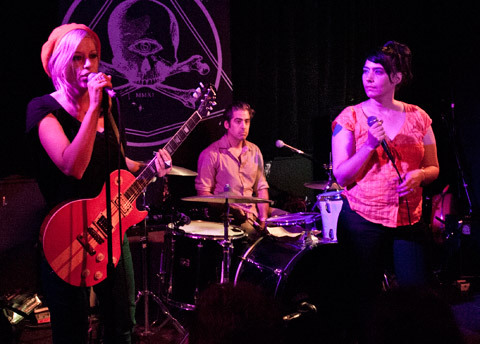 That step in artistic development is a very important one, and by Julie Ruin keyboardist Kenny Mellman’s estimation, it is the one singer Kathleen Hanna discovered when she assembled The Julie Ruin and then wrote and recorded the band’s debut album Run Fast. “The difference in making this band and the music on Run Fast, I think, is the centre from which the music sprang,” says Mellman, pensively. “Kathleen has said that in previous projects she felt the need to write songs that other people needed, and with this project she took a more personal stance and wrote songs that she felt SHE needed. There was definitely a bit of that push to it because Kathleen was sick while we were writing and so the moments when were all together working on it were very precious. There’s no doubt that Hanna’s gift for putting together the ideal crew to realize her vision was in top form when it came time to make Run Fast. The coolest thing about Run Fast is that, while there’s no doubt the album owes a debt to the scruffy, ragged and grungy music of the Pacific Northwest music scene of the nineties, there’s also no question that the sound is fresh and all new. 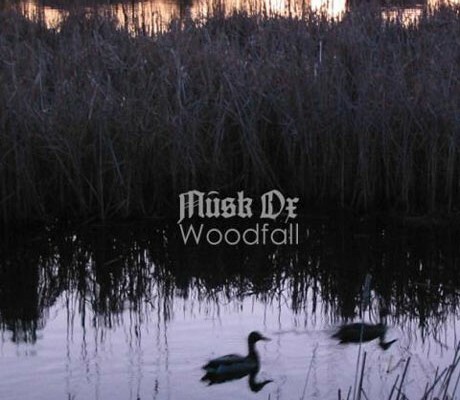 Tracks like “Just My Kind,” “Party City,” “Cookie City,” and “Right Home” all balance the darker and more ominous sub-text of grunge just beneath a beat-centric and ragingly poppy surface layer and compose a new structure that requires both to function. There’s no way the music would be as good if it was “all-grunge” or “all-pop”; it needs both of those poles in order to punch as hard as the music does. Listeners will find they’ve quickly come to crave that two-pronged salvo as the record progresses. That development proves to be one of the most exciting things about Run Fast. 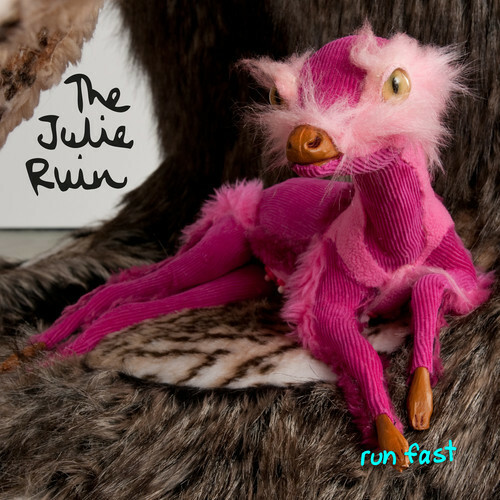 With the album out now, drawing a tremendous amount of praise from critics and really invigorating life in rock listenership, The Julie Ruin has bowed to convention and begun touring to support the release. However, they’re not trying to stay on the road indefinitely and exhaust themselves. The band is working hard to ensure that audiences get what they want from their shows, but not going so hard that they exhaust themselves or get sick of the endeavour. “To be perfectly honest, I think we’ve already started writing a second record, but when we first got the project started, we didn’t even know if we’d be able to play live, so our expectations were different,” Mellman confesses. “We almost didn’t book the tour that we did last September because Kathleen was worried that she might have to cancel shows because she wouldn’t have the energy to commit to doing a tour [Hanna was diagnosed with Lyme disease in 2011—ed]. We told her though that nothing is ever certain. Anything could happen to any of us at any time—nothing is ever guaranteed—so it’s not just her cross to bear. Conversations like that opened up the dialogue of it being impossible to plan that way, really. One of us could get hit by a bus tomorrow too and that would be bad, but that doesn’t mean we shouldn’t do it. The same is true of Kathleen’s health; I mean, she has to be careful and none of us would ever ask her to do anything at the expense of her health, but there’s no reason to not try, unless she didn’t feel like she could. She wanted to try though, so we did the first tour and Kathleen’s health was great and everybody felt really good about how it turned out, so that was the reasoning we needed to see how far we can take it.